A Hemet, CA dentist who focuses on your needs, wants, and desires. Dr. Larrondo's goal is to provide you with the most comprehensive dental care possible. 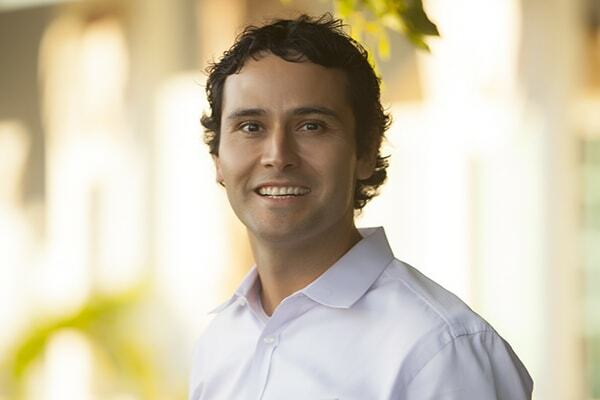 Your dentist in Hemet, CA, Dr. Jorge Larrondo graduated from Loma Linda University Dental School in 2004. Prior to studying at Loma Linda, he attended Pacific Union College in Northern California. He has been practicing for over 8 years. Since he began practicing dentistry, Dr. Larrondo has kept up to date on many continuing educational classes, ensuring that his patients receive the most comprehensive and advanced dental care. How does Dr. Larrondo go above and beyond for your care? From our chair-side digital x-rays to our implant technology, Dr. Larrondo offers the best technologies and techniques in the industry. We are experienced in a wide range of dental treatments. From hygiene to dentures, we promise to design your treatment plan based on your comfort level. Dental visits should be a breeze, which is why we're efficient with your time, making appointments quick and easy! Plus, we offer lunch and Friday appointments. As a member of the Hemet community, Dr. Larrondo works with Valley Restart to help those less fortunate achieve healthy smiles so they can live a purposeful life. The Press Enterprise recognized and featured Dr. Larrondo's hard work. Give us a call or send us a message to schedule your appointment.